All Content on this Website, including the words, information, documents, design, graphics, photographs, graphics, images, and all other information and intellectual property, registered and unregistered (“Content”) is my property and is protected by Canadian intellectual property laws. Certain names, words, titles, phrases, logos, icons, graphics, or designs in the pages of this Website may constitute trade names, registered or unregistered trademarks or service marks (“Trademarks”) of One Weird Mamma and of other persons or entities. However, the display of Trademarks on pages at this Website does not imply that any license has been granted to any third party. All rights are reserved. When you access this Website or its Content, you agree that you will not copy, duplicate, or steal my Content. Any unauthorised use of the Content is a violation of these Terms and I reserve the right to prosecute unauthorised use to the fullest extent of the law. Information on this Website may be copied for personal use only. No part of this website may be reproduced, stored, or transmitted in any form or by any means, electronic, mechanical, photocopying, recording, scanning, or otherwise, except as permitted under Section 29, Section 30, Section 31, and Section 32 of the Copyright Act of Canada, without my prior written permission. You may link back to any blog posts or articles on this Website that are widely and publicly available, as long as you give credit by providing a do-follow hyperlink back to this Website. Requests to the author and publisher for any other kind of permission should be addressed by sending me a message from the Contact page, before the use of my Content. All photos from 3rd party contributors have been identified in the post & include information on where we have obtained the license to use them from. Some of these are paid and I do NOT authorize any one to use them without seeking their own license for that image. 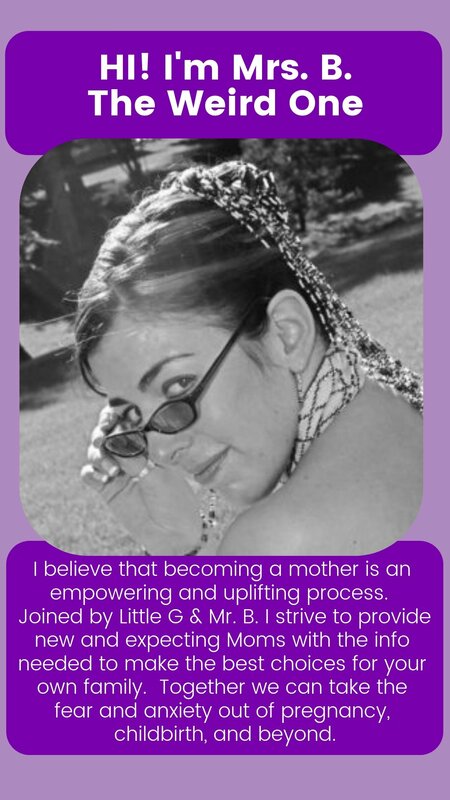 All photos idetified as Mrs. B. or OneWeirdMamma in origin are NOT authorized for use by anyone other then Mrs. B. If you wish to use an original image or piece of art please email your request with a description of use for One Weird Mamma’s consideration. Any use of these images or unmarked images will be considered an infringment on the owners rights and prosecuted. Due to the dynamic nature of the Internet, certain links on this Website may have changed. I make no representations to the current accuracy of the information shared. All information and services on this Website are provided on an “as is” basis without warranty of any kind, either expressed or implied, including, without limitation, implied warranties or conditions of fitness for a particular purpose or use, or non-infringement. While I make reasonable efforts to ensure that the information and services contained on this Website are accurate, I cannot guarantee the accuracy, completeness, timeliness, or reliability of this information and these services; I am not responsible for inaccuracies, errors, or omissions in the information or services. All information on this Website is for informational purposes only; it is not intended to provide any specific advice, and is not to be relied upon. Any actions or decisions should be based on independent research and professional advice. Links to downloadable software sites are for convenience only. I am not liable for any difficulties or consequences associated with downloading the software. Use of any software is governed by the terms of the license agreement, if any, that accompanies or is provided with the software by the third party website. I may add, delete, or change some or all of my products or services at any time without notice. You are granted a limited license to access and review this Website and its Content for your personal use, but you are not granted a license for business or commercial use. As a licensee, you may not use this Website or its Content in a manner that constitutes the infringement of any of my rights, unless otherwise authorised by me. forge, alter, or modify in any way any of the agreements, polices, information, reports, or any other material posted or accessible within this Website. By using and accessing this Website and its Content, you agree that you are solely responsible for your electronic communications. You agree to provide honest and accurate information and that you are authorised to make any purchases you may make. You agree to only use this Website and its Content for lawful purposes and you agree to not act fraudulently, unlawfully, or otherwise inappropriately. If you engage in any purchases from this Website, you agree and acknowledge that personal payment information is being transmitted. I use outside vendors to sell products and services and process payments. You acknowledge that these outside vendors may have access to your name, address and payment information. I do not personally have access to nor do I store any information. I have chosen vendors carefully and attempt to only use secure transmissions. However, I will not be liable or responsible for any data breaches that result in any loss, damage, or other injuries when dealing with one of these vendors. These vendors may have their own privacy and data collection practices that differ from mine. For more information, visit that vendor’s website to learn more. Any user generated content on this Website (such as through blog comments) will be publicly available to other users. By posting or submitting any material to this Website, you are warranting that you are the owner of such materials and you are at least 18 years old. By submitting any content or materials to me this Website, you agree to give me an unlimited license so that this content can be shared on this Website. This license includes your permission that your Website submission, blog comment, or such other information may be a part of the current or future existence of this Website and its Content. You are granting the right to be identified as the author of any of your contributions. I may end the use, or refuse to permit the use, of any Service or Product and this Website by any person or entity, for any reason and without notice, at my sole discretion. While I make reasonable efforts to ensure that all information and services provided on this site do not contain computer viruses, you are solely responsible to adequately protect and backup your data and/or equipment and to take reasonable and appropriate precautions to scan for computer viruses or other destructive properties.